I admit – this summer has pushed me back into my comfort zone. I sent my third / smallest child – 6 already (when did that happen), to first grade today. Had to remind myself repeatedly that eventually it will all be ok. That she’ll be fine, my baby. Not a baby anymore, is she. 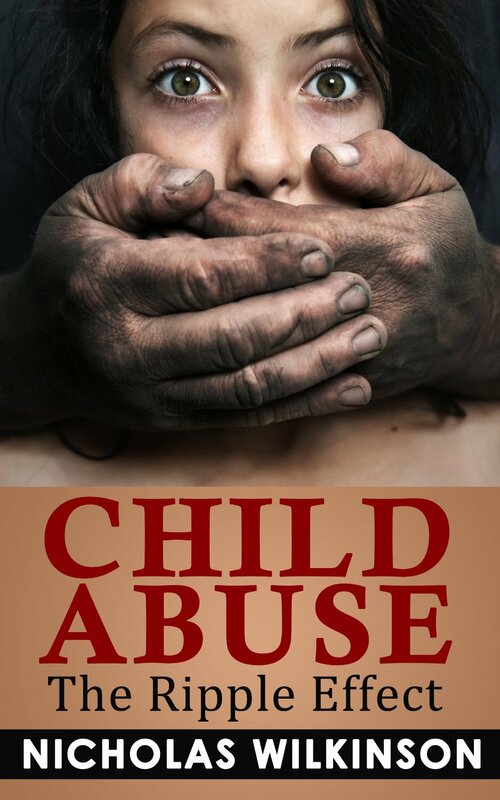 I planned to write about child abuse, and about a very special person. These amazing people, who are all volunteering to write in the site, having only other’s well-being in mind. One of these amazing people is Nick Wilkinson. Nick is a writer, and is also working with children and teens, been very experienced in the Behavioral Health. We were following each other’s blogs Nick and I, when he offered to contribute to parents space, and I agreed, understanding that he can bring great value to parents. And indeed, each one of Nick’s posts is unique, interesting, and extremely valuable. Nick has just published his new book, Child Abuse:The Ripple effect, discussing his personal past as a child suffering endless abuse by his mother, and his struggles to survive this past and its effects. Nick’s earliest memory is from age five, being beaten viciously by his mom for no reason, nor any explanation. He writes about many years that followed of repeated experiences of child abuse and abandonment, which are, and please don’t take my word for it, not easy to read at all. Actually, while I was reading Nick’s book, I found myself imagining my children having to go through same, and started crying. Nick is still fighting his demons, as the far-too many child abuse survivors. Nick’s book is unique, combining his childhood dark memories with his grownup understanding of the coping mechanisms he used to survive. Reading this book I was thinking how totally amazing it is to be able to leverage such a bad start of life to a path of helping so many others. How can people with such a bad starting point find within themselves the power to turn it all around, and succeed in not only helping themselves, but also supporting a lot of others. Please read this book, it’s value is a lot higher than its low price. Thank you for joining me in this adventure. I hope I can pay you back by increasing even some awareness to this very painful,l and far too widespread issue of child abuse. Thanks for the information on Nick’s book. It’s interesting. I have a 9 year old, and right now we are reading Harry Potter (on book 4), before that Mysterious Benedict Society, all of Roald Dahl’s books, and many others, and basically every character has some horrible experience at home, is treated horribly at an orphanage or at home, or something awful happened to their parents. I wonder sometimes what our safe, happy kids think of these stories. To reassure them while reading we say, oh, it’s just a story. But then you realize that’s not really just fiction. These horrible things happen to kids in real life too. Scary for us as parents to comprehend too. Will check out the book…. Yes, please do that Robin. I’m always amazed, really amazed, to hear about what some (many) people are going through. Let me know what you think once finished, it’s not very long. Thank you for the kind words and if anyone ever wants to chat or discuss things, I’m available. – Nick. Thank you for suggesting this book. As a mental health professional, I’m always looking for resources on child abuse. I’ll definitely read Nick’s blog! This sounds like a powerful testimony. Thank you for letting your readers know about it. As a journalist who discovered the ramifications of child abuse while researching and writing an article about the Adverse Childhood Experience study (www.acestudy.com), I know this book will be an important one for the healing that needs to happen to victims of abuse. Mr. Wilkinson, I hope to read that you’ve addressed and found a healing modality. this is so, so interesting that i happened to see u in my reader sidebar just now, and this is your top story. i JUST posted about raising children NOT to abuse…it’s a brief post re: the shift needed in parenting. i pray it blesses others n helps other parents to raise this generation with me. i’ll post it in a sec! Thanks for being aware! So many children suffer and never say a word–because they fear reprisal.